A superior lubricant for all climates. Contains PTFE lubricant to greatly reduce the friction between mating surfaces. Will not gum up or lose its viscosity under extreme temperature variations from -55°F to 300°F. 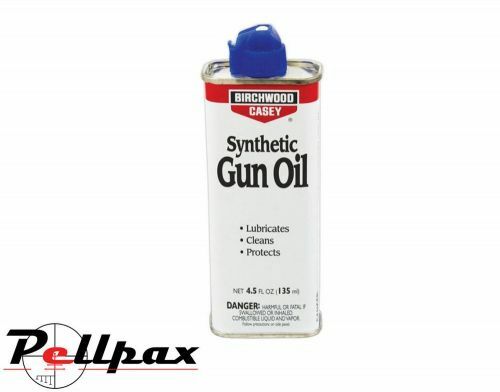 The natural solvency of Synthetic Gun Oil cleans as it oils while its low evaporation rate assures protection against rust. Excellent for lubricating and protecting all metal sports equipment and for many household applications.